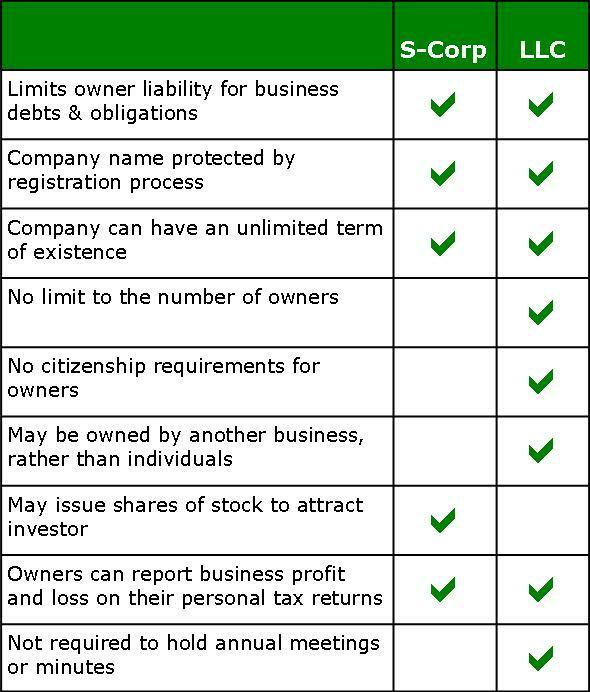 Why is an LLC better than an S-Corp? An LLC is a business structure similar to a sole-proprietorship or a general partnership. According to the IRS, "It is designed to provide the limited liability features of a corporate and the tax efficiencies and operational flexibility of a partnership." As a pass-through entity, all profits and losses pass through the business to the LLC owner (aka "member"). Similiar to partnerships, the member himself reports the profits/losses on their federal tax returns but not the LLC.